Between work, family, errands, the kids’ soccer practice, and getting dinner on the table before 8 o’clock, cleaning has a tendency to fall to the weekend. 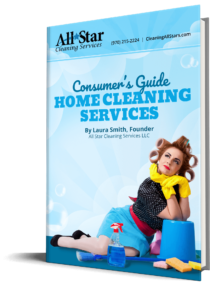 We are here to help you reclaim your life with guilt-free GREEN house cleaning in Fort Collins, Loveland, Windsor, and Greeley Colorado, as well as optional help with laundry and dishes, and many other services designed to simplify your life and free up your time. Isn’t it time you called All Star? The best cleaning services in Northern Colorado. I tried an independent cleaner from Fort Collins Craigs list. Never again. All star is great. Tony is our fave. He does a great job EVERY time. You MUST Ask Before Hiring A Cleaning Service.